Kayak More Tomorrow's sea kayak specialists were the first sea kayakers to paddle Norway's coastal waterways; we continue to paddle these waterways every day. This has provided us with an enormous wealth of information on Norway's coastal waters from a sea kayakers point of view, and as well, having operated sea kayak centres in Norway for over 20 years has given us a clear understanding of the needs of sea kayakers paddling this majestic coastline. 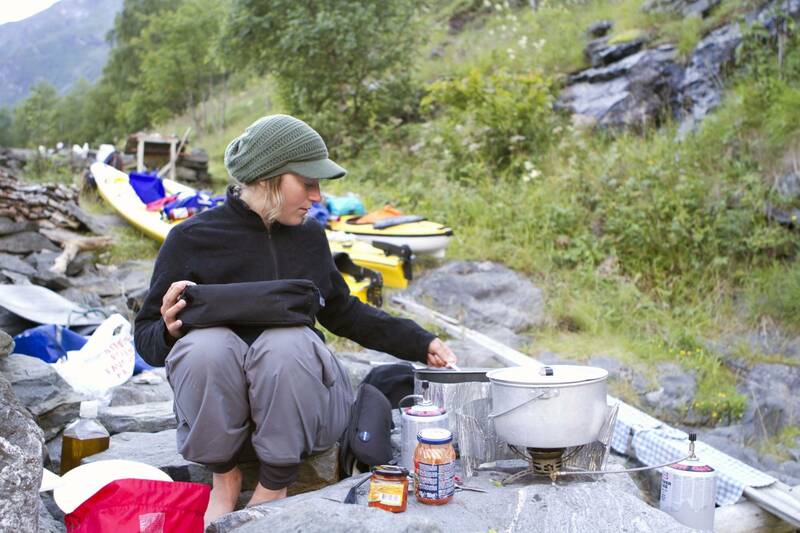 KMT's outfitting service enables you to explore Norway’s best paddling venues at your own pace! We supply all the local knowledge and necessary information for a worry-free sea kayaking journey along Norway's coastal waterways, including the famous western fjords, arctic archipelagos, and its stunning beach speckled rocky coastline. Your customized sea kayak outfitting program as per your specifications. Our outfitting service begins with our office staff guiding you as you plan your journey and then when you arrive at your departure location our sea kayak specialists will brief you in-depth on your chosen route, including camp sites, fresh water access, grocery resupplies, sea conditions, tides and currents, equipment usage and packing, etc. We have a fully stocked sea kayak center where you can outfit all needed sea kayaking equipment through a full range of camping equipment, as well as stoves and camping kitchens; also, a trip menu with all the groceries necessary to make delicious meals can be arranged for your trip. Our equipment has been thoroughly tested in the rugged conditions of the Arctic, this, to ensure that you are provided with the best gear available for your sea kayak adventure.